This post is in response to a question I have been asked quite frequently by schools recently. “We have bought some iPads for the school (or SEN department). What apps should we get that we can use with lots of different children?” This is our guide to the best and most versatile apps for Infant age children (4-7 year olds). There will be another post in a few weeks’ time focussing on Junior age (7-11 years). For the purpose of this list, I am assuming that a school is buying apps that they want to use with lots of children. Most of these are also great if you are a parent or therapist. 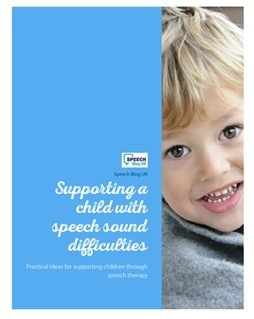 With the speech sound apps though, please be aware that if you just want to use these with one child, you can often buy just one sound at a fraction of the cost. Please do check before forking out!! Key Word Kids. Although it is more expensive than other similar apps, this is my favourite app for working on following simple instructions. You can read our full review of this here. The great thing about this app is that you can be really specific about what you are working on, and for me, that justifies the price. You can work on 2, 3, 4 and 5 key word instructions, or on understanding of specific concepts such as big/little, in/on/under, etc. There is also an expressive language part, where you can get the child to give you instructions of what to add to the picture and where. This app costs £18:99 in the App Store. isequences. This is one of the first apps I ever bought and I still use it every single week! The idea is that the child has to put 3 or 4 pictures in order to tell a story. There are also options to say what might happen next and how the people might feel. I use this app to work on so many different skills – sequencing, story-telling, pronouns (he/she/they), verbs, predicting what might happen next, emotions… This app is a must for any school. You can read our full review here. The best thing about this app – you can get the Lite version free, and the full version is only £2:99. An absolute bargain! Choiceworks. This is a great app that I discovered just this week via the Speech and Language Kids podcast. You can create a visual schedule really quickly and easily. The pictures are lovely and clear, and the child can swipe the items across to the other side of the screen to show that they are completed. A must for any classroom that uses visual timetables. They also do a lovely calendar app – perhaps more one for parents, but do look them both up. This app costs £4:99. Rhyming Bus. I love apps which already have things sorted nicely into different levels which children can progress through. Rhyming Bus works through rhyme identification skills really nicely, progressively increasing the difficulty. Rhyming is a key phonological awareness skill for both speech and literacy. You can read our full review here. This app costs £9:99. Doodle Buddy. A simple drawing app which is free to download. The great thing about this app is that you can take a photo and draw on it. Take a photo of any worksheet or paper-based game and you can draw on it on the screen. It kept my daughter motivated and engaged with her Maths homework beautifully today! Use this to brighten up any paper-based activity. You could also use it for giving and following instructions, colour and description skills. Associations. This app is by a company called I Can Do Apps. They have loads of cheap and useful apps and it was hard to narrow it down to one. Look up their apps generally. I’ve gone with this one as it works on identifying links between items and explaining them, which is something I work on frequently with a wide range of children. Again, this app has 5 levels which a child can work through, so it is easy to change the level to suit different children you are working with. This app is great for building vocabulary, identifying links, explaining and describing skills. It costs £2:99. My Scene. This app is made by My First Apps – another company who make lots of affordable and well-made apps. This one offers lots of different scenes with different stickers that you can add to each scene. I often use this as a reward game to keep kids motivated with whatever activity we are doing. However, you can also use it to directly work on a range of targets. For example, vocabulary, following instructions (“put the squirrel in the tree” or “put the yellow bus in front of the blue car”) or putting sentences together. I also sometimes use it for speech sound work as some of the scenes have lots of words with particular sounds in. You can get 2 scenes for free, and another 10 for £2:29. Sort It Out. This is another My First Apps app. There are 2 of these, and they are lovely, simple apps for working on sorting items into categories. Some are fairly easy – eg sorting vehicles into land, air or sea, but some are quite tricky – eg sorting faces by different emotions or sorting some quite complex shapes into groups. As well as categorising skills, parts of this app can be good for shape names, emotions, vocabulary and colour. Sort It Out 1 and 2 cost £2:29 each. The final one in my top 10 is Speech With Milo: Board Game. This is another speech sounds app. This one is a board game – you set the sound for each player first and then when that player has a turn, an appropriate word will pop up on the screen after they’ve taken their go. This one is great if you are working with a group of children who are all working on different sounds, as it will store each child’s settings and show the correct words to each one. This app costs £4:99 for the lite version (just some of the more commonly used sounds) or £17:99 for the whole thing. I have to give a final mention to Toca Boca apps. They won’t fit in my top 10 but they are great, fun apps. I mostly use them as reward games, but they can also be used to specifically work on some particular speech and language targets too. All of these apps are available for iPad. Some (such as isequences) are also available on Android, but you will need to check this. I have also turned this list into a handout, so that I can give it to a school next time they ask me this question. I’ve added it to the Freebies page, so that you can use it too! 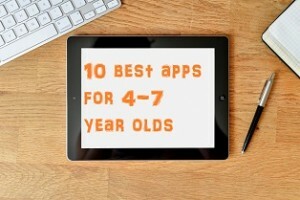 What are your favourite apps to use with this age group? Thanks Helen, Janet and I are delighted that you enjoy using Key Word Kids for your littlies. 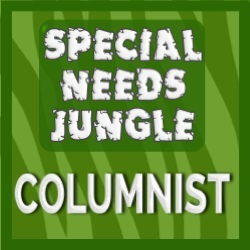 Yes – I still use it all the time! Great app – thanks! Hi, I’m a Swedish SLT who has recently developed and released an articulation app and it MAY fit this list. It was first released with the Swedish speech sound system and has been warmly welcomed and well used by fellow SLTs in Sweden, and is now released with English phonology in mind. It entices repetition of individual speech sounds and simple syllables in a fun and functional way. Also enforces phonological awareness.